Choosing the perfect broker is a lot like baking a cake: there are lots of ingredients which have to fit together perfectly, and the preparation usually takes time and effort. Some cakes end up great, others mediocre, and the difference is all about balancing various parts together. When looking into bookmakers, there is a good number of things to consider: overall quality of odds, free bets and bonuses, the number of selections available, customer support, experience in the business, and last but not least, money handling. Although lots of people ignore the financial aspect of a broker when analyzing him, we simply cannot do the same. How would you feel if you won a thousand pounds on a betting website, only to find out that you can only withdraw the money into a bank account, and you must wait at least 30 days? That is, of course, an exaggeration, but not a very large one. No two bookmakers are identical when it comes to handling their clients’ money. This money management has two distinct parts: withdrawing funds and depositing funds, each one with its unique features. Ideally, we want a betting site who processes withdraw requests quickly, always pays on time, and has a multitude of deposit options available, with little or no fees. Of course, this would be the ideal broker. In reality, some of them are closer to this level of perfection, while others are far from it. In this review, we will analyze both categories and weigh in on what you should look at when studying your bookmaker. For the withdraw parts, things are very simple and straightforward. Every time you ask your bookmaker for some (or all) the money from your account, you should receive it quickly, with minimum fees and hustle, and in the medium you want. Your bookmaker should process payment requests on time, spend no more than 5 days transferring money to your accounts (preferably 2-3), and should be able to send the money on credit cards, debit cards, e-wallets and even cheques or cash. Of course, all these things should be done with little or no fees. If your broker does charge withdraw fees, make sure they’re flat – you don’t want to be paying a percentage of your winnings so that you can enjoy your money. We are very well aware this isn’t rocket science – withdrawing money is relatively easy to study and discuss. The tricky part of bookmaker money management comes with deposits. Simply put, there are a lot of ways in which you can deposit money into your betting account. First off, you must decide what’s the most important thing for you about this process: safety? Discreetness? Quickness? Ease of access? Along with technological advancement and the development of the internet, we now have lots of ways to handle our money online, and lots of these ways can be used to deposit funds into your betting account. Some of them are extremely quick, others require very few actions, while a select few brag with perfect security and discreetness. Some betting enthusiasts treasure these things very much, since they might want to hide their activity from certain people, like bosses, children, or significant others. Moving on, we will analyze each category of deposit options one has, and take a better look into the most common choices for each category. Some time ago, E-wallets were a lot fewer (and less safe and popular) then they are now. They work in very simple manner – you are given an online account which is connected to one of your credit or debit cards. After depositing money into this account, you can then use it just like you would use a regular card. Any kind of transactions can be performed from this kind of account, although some must be cleared first, and it’s usually also very easy to get reports for tax purposes from them. Of course, they add an additional layer of safety as well, since you just use your e-wallet, without putting in any information related to your credit cards or your person. Setting up an account with most e-wallet providers is extremely easy, although it does take some time, since you will have to pass certain requirements on your first usages. We do recommend setting up such an account well before you plan on making the first deposit into your betting account, because you might get frustrated with waiting there. The biggest e-wallet providers worldwide are quite famous. Paypal is, without a doubt, the most famous of them all, and is accepted by almost all online bookmakers without any hesitation. Setting up a Paypal account is also quite easy, although their customer support has been known to cause some issues over the years. Using a credit or debit card to deposit money is probably the most widely-accepted and used deposit method at this time, both in the UK and internationally. Both cards work exactly the same, and most card providers (like Visa, Mastercard, American Express) offer online payments. We strongly recommend getting a card specifically for online betting if you’re serious about it, and one with a CVC code, for more secure transactions. Other than this small detail, credit cards and debit cards are both very straightforward. They connect your bank account directly to the bookmaker, meaning deposits really can’t get any simpler. When speaking about money transfers, we don’t only think about the traditional wire transfer from a bank to another company. That one is extremely simple – just log into your online banking app (or visit one of your bank’s branches) and start a transaction, moving a certain sum of money from one of your accounts to an account which your bookmaker uses. Depending on the relationship between your bank and this broker, this transaction can take anything from a few minutes to a few days. There are some third-party companies which also specialize in money transfers. Just think about Western Union. While these usually work a lot faster than traditional bank wires or cheques, they do require some time to setup, especially for first-time users. In the UK, money transfers aren’t very popular at the moment, but some other countries (like the US) value them very highly. A) People who don’t have a bank account, for various reasons – they either don’t trust banks, have their accounts blocked, or simply don’t want to have anything to do with a bank. B) People who want to be as discreet as possible. As stated before, there is no perfect deposit method that fits everyone. The perfect one should involve small fees, should be quick, discreet and easy to use from every device. Of course, the personality of each client says which of the qualities above is more important and why. We hope that our reviews have shed some light on this topic, and analyzing bookmakers from money management perspectives will become a lot easier now. To sum it up, studying how a broker handles withdraws and deposits is essential for getting a good understanding of how that company works, and if the bookmaker fits your betting style. Although this piece of the general puzzle is neglected, we strongly recommend that you give money management the importance it deserves. There is nothing like finding out that you can’t withdraw money at the moment you want to cash in a big win – avoid that by doing your homework on time. 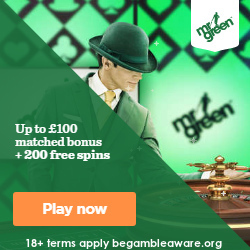 *T&C’s apply to all free bets, welcome bonuses and betting offers. Please check full terms on respective betting site.